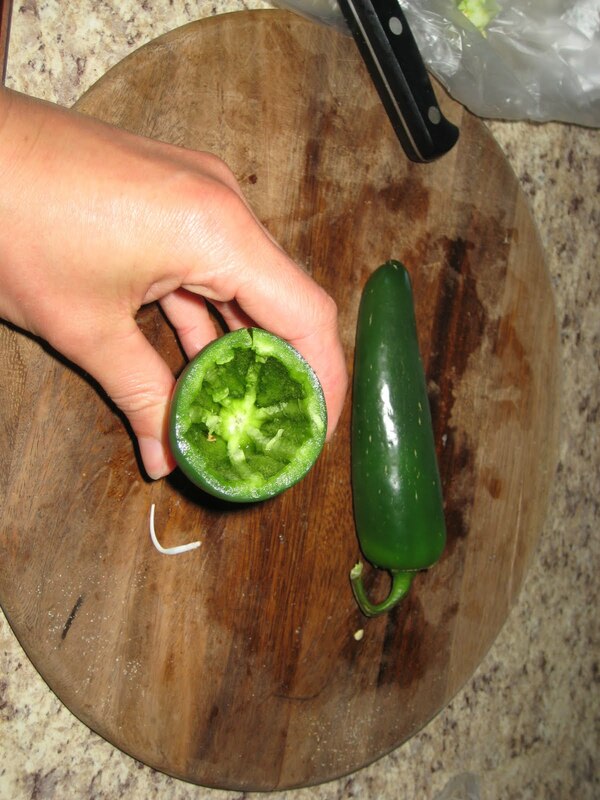 1# Chicken cut into pieces that will fit into the pepper, seasoned with your favorite seasoning. Cut the tops off of all the pepper and carefully scrape all the seeds out, the best way I found was to take a butter knife and put it into the center of the pepper and twist it back and forth, then just dump out the seeds. 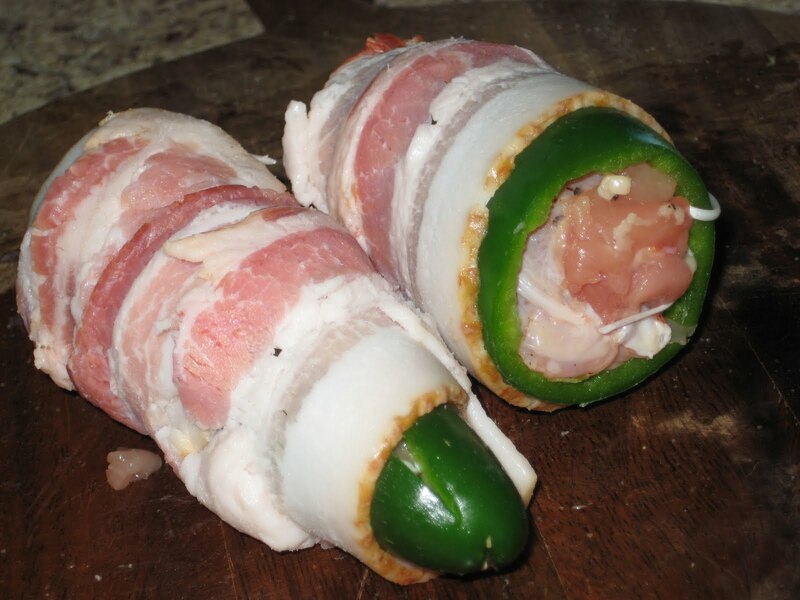 Stuff the raw chicken into the pepper cavity and wrap with bacon. 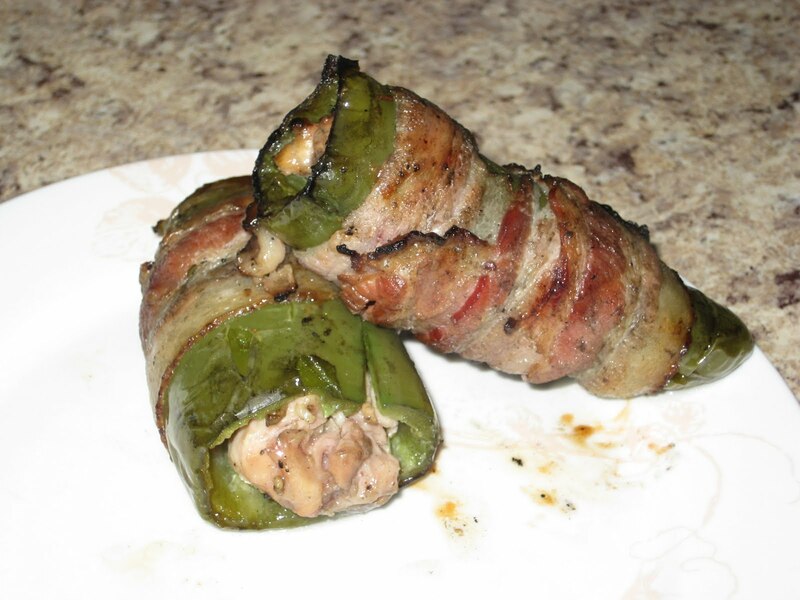 It takes one full slice of bacon to wrap the pepper properly (say that 5 times fast!). I have grilled them and cooked them in the oven. Grilling them is a little tricky because of the fat from the bacon, cook it up on the top rack if you have one or use indirect heat (turning on one side of the grill or putting briquet's on one side only). They took about 45 minutes to an hr depending on the size in the oven at 350 degrees. Just make sure the pepper is soft and the chicken is thoroughly cooked. I used a meat thermometer to make sure they were done enough. Aim for 170 degrees for chicken.